My Energy is Better Than Ever! I never really had a regular workout routine. I would join a gym but my workouts were never very consistent. I typically would only last a month or two and then lose interest and stop going. 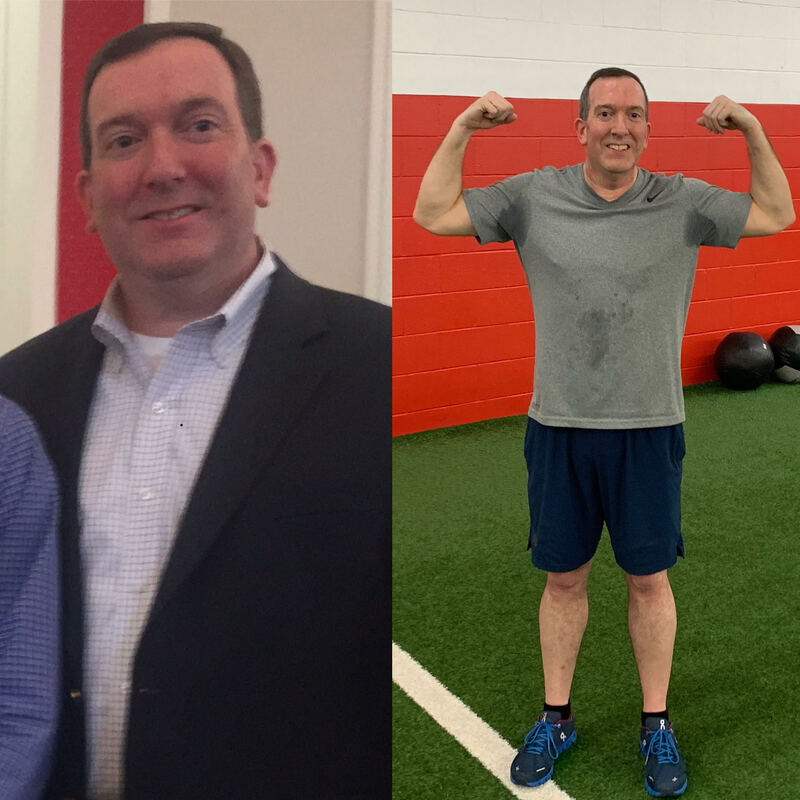 My wife joined DSC in February 2018 and fell in love with the people and the workouts. After her pushing me for 5 months, borderline harassing me (ha-ha! ), I decided to give DSC a chance. I have to admit I was skeptical based on my previous gym experiences, but now I am grateful for her persistence. Initially I wasn’t sure if I was even going to get through the first workout, but the coaches were very welcoming and made me feel very comfortable, ensuring my success. I have to admit I was nervous, but sort of knew what to expect with my wife already being a member. I thought the first class went fairly well and the coaches stayed with me during the class to make sure I was comfortable at each station. The first class had strength training and I quickly realized how out of shape I was. This concerned me because prior to this class I thought I was actually in ok shape. I wasn’t in the backyard catching a football with my son thinking I was still an athlete at 50. I feel that the training DSC offers is exceptional! Each class is geared to work different muscle groups, whether it’s strength or metabolic conditioning. Since joining, I have lost a total of 31lbs! I lost 15lbs from July to February just from working out four to five times a week. I recently joined the Online Nutrition Coaching Program and since February have lost an additional 16lbs! The nutrition program has really helped me with understanding portion control, measuring daily macros (Carbs, Protein and Fat) and how to hold myself accountable with my eating habits. My doctor put me on cholesterol medication 2 years ago because despite their recommendations I would never regularly exercise or actually lose that 10-15lbs. I’ve reached that goal now though so I’m actually exited for my next physical and hoping I will no longer need to take medication. My energy level is better than ever and overall I feel great. DSC's coaching staff is phenomenal! They make you feel at home from Day 1. They really care about each person as an individual too. They modify and give special attention when needed and push people to their fullest potential in order for you to get the results you are looking for. I enjoy the sense of community and the camaraderie. When you walk into the gym it feels like you’re in an episode of Cheers: “Everybody knows your name”, which motivates me to work as hard as possible, so I can get great results from each workout. My other favorite part is that every workout is different, pushing you in different ways and getting every area in shape. DSC is a welcoming environment and they strive to give every individual results.